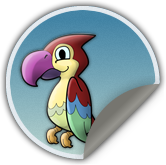 Kids solve over 1000 math problems every day in our fun educational iPad game. Download it today to get your kids engaged and learning math! 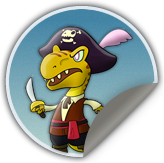 Make your own dinosaur pirate and solve math problems to win treasure on the high seas! For ages 3 and up, our first game focuses on simple arithmetic and counting: addition, subtraction, multiplication, and division. Don’t worry if this sounds too complicated -- our Learning Engine™ starts easy, tracks progress, and customizes the game's difficulty for each player. Our Learning Engine™ tracks your kids’ progress and shows them exactly the problems they need to see. As they learn, the game grows with them! Your kids will choose a character and level up with cool new items as they learn more math! With thousands of different combinations and new items coming out all the time, we’ll keep your kids motivated and coming back for more. Real math is about collaboration and sharing ideas. With our safe and anonymized multiplayer network, kids can solve math problems with friends and compete for high scores, right on their iPad! Who is he? Why is he following our heroes? And how did he get so bad at math? 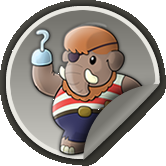 Since he doesn't have the math skills to win his own treasure, he's out to steal your gold coins. Watch out! Don't let his stumpy little arms fool you! 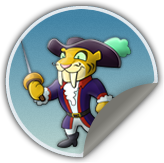 Rex was king of the jungle, and now he's out to be king of the high seas. Help him calculate his way to treasure! Link is missing! Where is he? And why is he so hard to find? 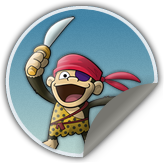 Level up and use your gold coins to help in the quest -- we'll find the missing Link someday! They say elephants never forget, but mammoths never miscalculate either. 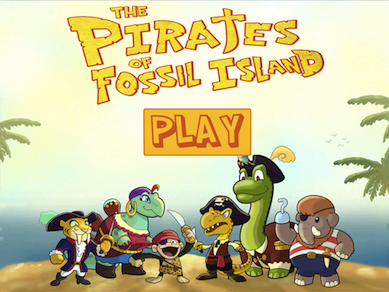 After losing his eye and right hand in a crazy bet with Feynman, Marley returned to the seas to redeem himself and find the lost treasure of Fossil Island. Stella's always been part of the crew. Everyone knows she is smart and does her very best to excel in math. 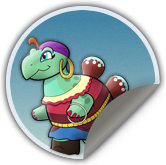 Stella knows her way around Fossil Island and will make a great choice as your guide! After years of training in the finest academies, Duke found himself mysteriously teleported away! Equipped with his trusty sabre (get it? ), Duke joined up with Captain Rex in his crazy hunt for the lost treasure of Fossil Island. Let's hope the bounty includes a time machine. Byron thought he had retired to a peaceful life of writing poetry and herbivorous munching on trees. But duty called, and he once again donned his Admiral's shoulders and set sail. Is it greed that drives this grizzled old warrior... or something else? This little guy's got your back! He's flying along with us, and he's going to give you hints and show you mental math shortcuts to help you win. Be sure to pay attention whenever you see him! We’re a small team of experienced mathematicians, cartoonists, and teachers in San Francisco, CA. Our mission is simple: we’re here to fix math education. 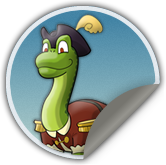 Watch for our next game coming out soon, and @brain_racer to stay up-to-date and get sneak previews! 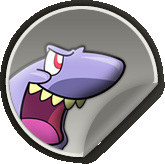 All contents copyright © 2010-2011 Brain Racer Inc. All rights reserved. Brain Racer™ and Learning Engine™ are trademarks of Brain Racer Inc.